Global Navigation meets Geoinformation 2019 Conference at European Space Operations Centre, Darmstadt, Germany. 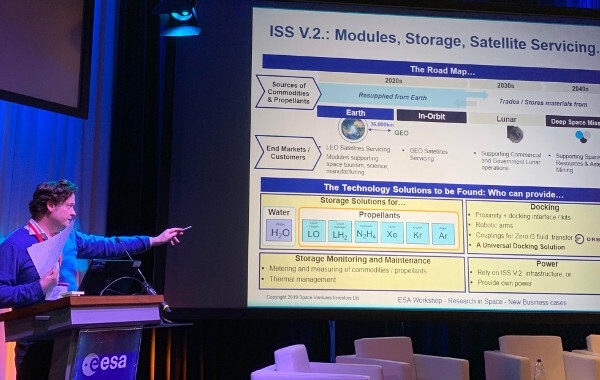 ESA Workshop "Research in Space - New Business cases" at European Space Research and Technology Centre in Noordwijk, the Netherlands. 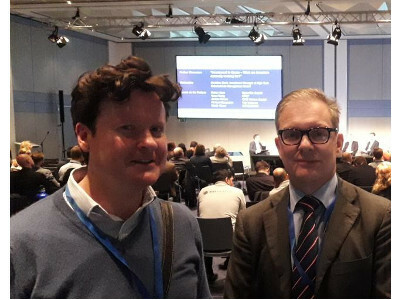 The Management Team at the 10th ESA Investment Forum at ESOC, Darmstadt. Space Commodities Exchange is incorporated in the US and is a joint venture. Co-founders include Space Ventures Investors, Orbit Fab and Orbital Transports. 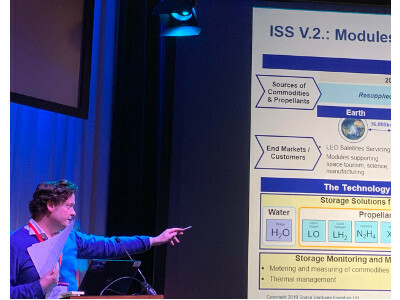 The Space Commodities Exchange will position commodities in orbital trading facilities, from Earth LEO and geosynchronous orbits out to the Moon, servicing Government and Private operations, like satellite re-fuelling. September 2018: Space Commodities Exchange was a runner-up in the Space Exploration Masters competition in Luxembourg. Illustration above: Managing Director of Space Ventures Investors on a recent (Sep-2018) visit to the newly formed Luxembourg Space Agency. 2018, December 3rd to 6th. Mentor to Deep Blue Globe: Earth Observation (Weather data) and A.I. solutions for Marine Navigation; creating an intercontinental autonomous navigation system for shipping. For the latest information about Deep Blue Globe, read Copernicus Accelerator Start-up in the Spotlight, June 2018.